Each year the Pennsylvania Highway Information Association (PHIA) and the Pennsylvania Department of Transportation (PennDOT) team with various state organizations to recognize the best road safety or bridge improvement projects undertaken across the state. Eligible projects are those in which most or all of the safety improvements were completed in 2015. The competition recognizes not only major, high-cost projects, but any improvements that have increased public safety. All entries are graded in four categories: Safety, Resource Innovation, Benefits of Improvements, and Cooperation. The program, which recognizes townships use of highway user fees, culminates in a presentation to the winners at PSATS’s annual conference in Hershey, Pa. on April 15, 2019. 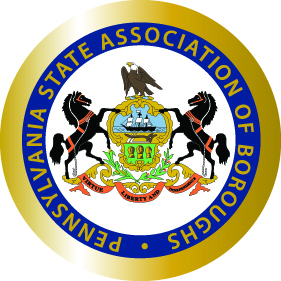 The program, which recognizes boroughs use of highway user fees, culminates in a presentation to the winners at PSAB’s annual conference at The Hershey Lodge in Hershey, Pa. on June 9-12, 2019. ENTRY DEADLINE: May 3, 2019. Click HERE to download the entry brochure. The program, which recognized project undertaken by Pennsylvania’s counties, culminates in a presentation to the winners at the annual CCAP Conference at the Doubletree Reading and Santander Arena, Berks County, Pa. on August 4-7, 2019.